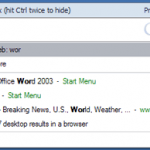 There was time when I used Internet Explorer as my web browser of choice and tabbed browsing was unknown feature then. 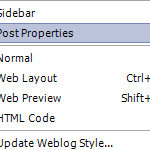 If I had to work with multiple web pages, I used to open multiple windows of IE and this used to clutter the toolbar. Expand Display Adapter. If you have something that starts with ATI continue reading this post. Hydravision is a Multi-monitor Management Software from ATI which enables you to tailor your desktop , so that you can manage increased amount of information. The Breadth aspect is applicable to users using multiple monitors. But the Depth feature is one which is really worth checking out. With ATIs MultiDesk you can create-name-organize, and arrange up to NINE active multi-monitor desktop combinations. You can cycle between these using the mouse click, or to make life simpler, you can set hot keys to cycle through the virtual monitors. Also you can move the applications across the desktops i.e. you can re-arrange the applications. You can even make an application appear on all the desktops. 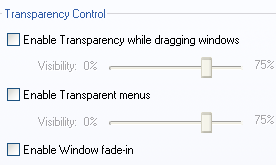 You can enable transparency while dragging windows, enable transparent menus and enabled windows fade in effect. 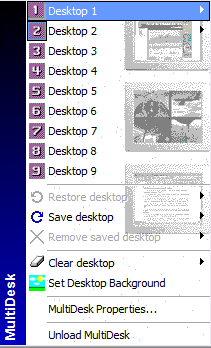 This is really not that useful, but again in a few scenarios, transparent windows and menus can be useful. There are a host of other features like enabling shadows, using magnifier tool etc. If you have multiple monitors, you can move applications between these physical monitors. 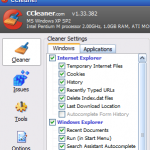 For NonÂ ATI PCs there are a lot of other tools which might help you to accomplish the same. 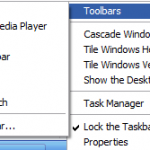 One such app is the Virtual Desktop Manager from Microsoft. It helps you in managing 4 virtual desktops. You can only use the full edition of Hydravision for ATI Multidesk.